Manchester United must sign top players in the summer transfer window and they must also hold on to the current crop of key players. England international Marcus Rashford has been sensational for us this season, especially since the arrival of Ole Gunnar Solskjaer. Top clubs could look to lure him in the transfer window and the Red Devils must keep him at the club. According to Mirror Sport, the 21-year-old forward is closing in on agreeing a mammoth new five-year deal (worth £78million) that will make him earn £300,000-a-week. The British outlet have claimed that Rashford wants to stay and has asked the club for the mentioned wages. In the current campaign, so far, the youngster has started 21 Premier League games and directly contributed in no fewer than 17 goals (10 goals and 7 assists). I think he has been our best player this season and surely deserves a bumper pay-rise but I’m not sure if United should hand him such a massive deal. Not only that, if the agreement is reached then Rashford would also be earning more than our star goalie David De Gea, who has been our best player in the post-Ferguson era and currently earns £200,000-a-week (The Daily Star). The Spanish shot stopper wants a deal worth £350,000-a-week to stay at the club (The Sun). He has been in talks with United for quite some time but the club have not fulfilled his wish as yet. 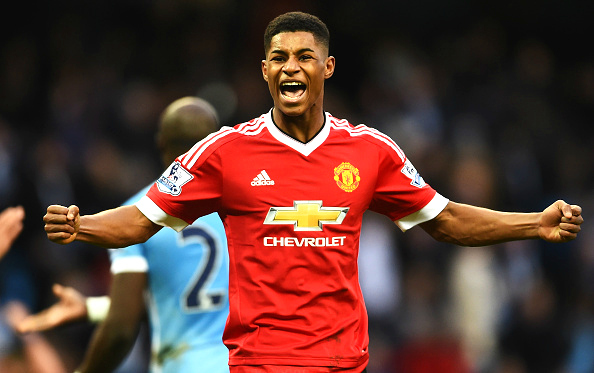 In your opinion, does Rashford deserve to earn £300,000-a-week?